It is clearly shown that the right to education is one of the fundamental rights of each and every one of us. It is especially crucial to children who need to learn the skills to support their lives. It is the best and most important stage of life to study and learn. This report highlights the situation of Pa-O children who are struggling to get basic education in Pa-O areas of Southern Shan State. It is especially the economic and social conditions at home, as well as the insufficient educational facilities, that drive parents to send their children away from their birthplace. Due to the poor education facilities and the insufficient number of school teachers, children are being taken by monks to stay in monasteries and orphanage as well as in Houses all over Myanmar. This has become a long tradition practiced by local Pa-O people. Each year, a great number of children are being sent away from their homes by the monks and parents for several reasons but most are related to education. In my research area alone, each year, over one thousand children, two thirds of the total population of children, are sent away from their homes to stay elsewhere in Myanmar. The children are usually between the ages of five and ten when they must leave home. Children are sent to various places such monasteries and orphanages but the majority is sent to individual families who like to have children in their home to do their daily chores. Much research is done on human trafficking and cross-border migration but this issue with Pa-O children is an internal issue which is largely untold and hidden from the surface. What about the conditions at their new homes? What about the poor living conditions in the work places where these children end up – the factories, the farms and the domestic kitchens? Do they contribute to trafficking and child rights abuses according to international law? Why do these conditions exist and when children’s rights are violated, why don’t the authorities take action? The primary objective of this one-month research study sets out to answer these questions mentioned above. It focuses on the condition of young children, the difficulties for them to access to basic education and the abuses and exploitation that they are suffering. It also examines the level of the exploitation happening to children and the places where this exploitation is happening. Lastly, it will suggest what can be done to alleviate this issue. The first section sets out to examine the profile of children and attitudes and motivation of parents who are willing to send their children away and recruiters who engage in sending children to stay away from their home and to work for other families. Also, it will also reveal the fact that the poor education system remained unchanged although Burma is said to be on the road to democracy; the public schools are still too expensive and corrupted for parents to send their children. Secondly, it will present about why children are sent away from their home at their very early age. In this section, the situation of their home town and villages and the causes of all this issue will be examined and analyzed. The local people in this research are called Pa-Os, also called hill tribe since they are dwelling on hills sides. Since their livelihood and way of living are very poor and simple, they are far left behind when it comes to education standard. They seem to have very little care about their children’s education for their unfavorable conditions. The third section will explain how children are in a very vulnerable situation. Due to this poor living condition, many untold stories occur. For example, even disregarding the poor sanitation and lack of health care, some children are lost and many are abused and subjected to torture and exploitation by their adopted parents. Especially girls are far more vulnerable compared with boys since they are always sent to stay other families, never given the option of living in the monastery. Finally, the last section will argue that children are suffering from the negative impacts not only while they are staying away from their parents but also for the rest of their lives. In this section, some case studies that happen to children staying in monasteries and families will be presented. Mostly, most children staying in monasteries are ordained as novices, young Buddhist monks, so that they can get a place to stay. They mostly have to study only Buddhist scripture.3 This cannot help them practically and professionally when they leave the monasteries and become laymen again later in their life which is often the case for many children since they don’t want spend the rest of their lives in the monkhood. Primary research was conducted with sent children, children’s parents, community leaders, and recruiters who are mostly monks from various geographical sites in and around Yangon. Altogether, 16 interviews with children, community leaders, parents and monks were done. Some of the data are from reports made by Khun Tun Tin, a member of PYO (Pa-O Youth Organization). Children interviewed were those who are currently staying with individual families as well as those who have left the homes where they were sent to live. Among 16 interviews, 10 of them were conducted with children and 7 of them were the victims of different kinds of abuses and exploitation by house owners. The suffering and difficulties they face are more or less the same degree. This research was conducted from 1, September, 2011 to 5, October, 2011. It was done mainly in two areas: monasteries where children live in and around Yangon and their hometown of Kauk Ta Lone Township, Southern Shan State, Myanmar. Sending children to stay away from home in monasteries and in families as adopted children has been a long tradition in Pa-O society. It is estimated that it began since the 1962 civil war. The civil war began in 1962. It was the time when there was a great tension and fighting between the Burmese military and Pa-O insurgents. During that time, U Khun La Phya, a former partner of independence hero General Aung San, was a prominent Pa-O leader. 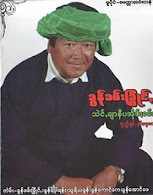 He was a highly educated and respected person with lots of friends in lower Burma. During the great conflict, he went into the forest and became the Pa-O leader. During that time, a great number of Pa-O young people were tortured and taken for pottering by the Burmese military. Realizing this, he organized many monks to take the children to lower Burma to stay in monasteries and with his friends’ families; this appeared to be the only option to help the children gain education and escape from the Burmese army. In this way, many Pa-O young people became educated, some of whom are working in leading roles in the Pa-O community nowadays. Pa-O people, the second largest population following the Shan in Shan State, are a hill tribe because they mostly live on the hill sides and earn their living by cultivation. They are simple but hardworking people. They have their own culture and literature. As depicted in the map of the region, Shan State, the largest state in Myanmar, is situated in the northeastern part of Myanmar. Due to its size, Shan State is officially sub-divided into three areas, known as North, South and Eastern Shan States. Pa-O people mostly live in rural areas away from the cities because they earn their living mostly by the cultivation of onion and cheroot leaf. Until 2010, all the Pa-O areas were controlled by SPDC6 (State Peace and Development Council) regime. Pa-O people are living in various townships, mostly in Southern Shan State. Now, three townships of all Pa-O areas gain self-administration power which means the areas will be controlled by PNO (Pa-O National Organization) Party, an organization with strong ties to the Burmese government. Buddhism is practiced by nearly 100 percent of the population.7 Since they are strong believers in Buddhism, Pa-O people believe it is essential for a man to be ordained and stay in the monastery at least once in his lifetime. This is one of the reasons why children are being sent away to stay in monasteries. Nowadays, the number of children being sent away from their home town is increasing at the alarming rate. They are sent to stay in many places in Yangon. They are sent by monks and individuals to stay in orphanages and monastic schools but they are mostly sent to individual families. According to my research, Pa-O children are proportionally the highest among all the ethnic groups living in Yangon monastic schools and orphanages; the number of Pa-O children is considerably higher than other ethnic groups such as Shan, Pa Laung, Wa, Da Nu and many other ethnic groups which come from different states and divisions in Myanmar. Pa-O people have a fairly good education infrastructure such as schools from basic education to high school in their regions located near the city. It is because of the educational project organized by PNO (Pa-O national organization) in 1995 after taking ceasefire with government.8 However, a large population of the people living in remote areas is still unable to access to the education due to their poor economy, the high expenses of education as well as poor and corrupted education system. Corruption occurs usually among middle and high school teachers. The exam results and the grades of students’ year round study are determined by the amount of money that the parents have to pay for their children tuition’s fees. Most of the teachers’ incomes are from their private tuition and classes. As a result, very little attention is given on the school lessons and children who cannot pay for the private tuition are greatly ignored. Children are sent all over Burma except some states and divisions where Buddhism is not practiced. One Pa-O monk stated that per year, more than 10,000 children are sent from Pa-O regions to other places in Burma.9 Children are sent in many forms: as novices, orphans, students. Boys are mainly sent to individual families, monasteries, monastic schools and orphanages; very few girls are sent to nunneries to live as nuns while the majority of them are sent to individual families. Girls are mainly sent to stay in families because there are very few places for them to stay. Therefore, they are more vulnerable to domestic abuses as well as human trafficking. Pa-O children are from various places of Burma but mostly come from Southern Shan State where the majority of Pa-O people live. According to the research, the majority of the children who are sent from their homes are below 10 years of age and 40% of the children are girls. Overall, nearly 80% of all children are sent to stay in families as adopted children or servants. Poor economy is the main drive of parents to send their children away. Most of the people in these regions are earning their living by cultivation of cheroot leaf and the estimated annual income for people is under 500,000 kyat, about $500 USD. The majority of the population in this area lives hand to mouth. They usually work as daily workers. They have to live on their daily income which gives them no guarantee for tomorrow. - Villager from Kae Lunn village. While the parents are struggling to survive and earning their living from hand to mouth, children are neglected and ignored. Parents know nothing but how to survive; they are illiterate and cannot even sign their names. In this situation, all they expect from their children is a helping hand in farming and household tasks. Therefore, children are expected to come home when they are old enough to help their parents on the farm from lower Burma. - Villager from Lon Hey village. Like parents of the children, teachers are also facing many problems, especially with their salary. They earn only less than 50,000 kyat a month for young teachers who teacher basic education, about $50 USD, and less than 100,000 kyat for senior teachers which is simply not enough to have a decent standard of living. Some teachers have to focus on their private businesses and teaching becomes a part time job for them. Moreover, the number of teachers is very limited and each has to take care of over 50 children in one class. Therefore, it is very hard for them to teach and take care of children effectively. This is the main reason that makes the teaching profession an unattractive job for many young people and why it has lost the traditional respect from society. Traditionally, pupils have the same respect for their teachers as they have for the Buddha and their parents. Teachers enter the classroom with goodwill, interest and self-sacrifice (seidana, wadhana, anina). Nowadays, the role of teachers has declined due to the fact that teachers’ salaries are very low and they lack material support such as housing and transportation. They also lack academic support, such as teacher training programs and workshops. The lack of well-trained teachers also affects the quality of teaching. Most schools in this area lack basic classroom necessities such as books, pencils, tables and proper libraries. Teachers are paid an average of less than 100,000 kyat a month12 - a wage unattractive to many young people who would otherwise be interested in a teaching career. Many schools are left with no choice but to recruit unqualified staff on a short term basis. Parents usually have a negative attitude toward education. This is understandable since nearly all university students have no job employment opportunities and return home jobless after graduation. For most lower-class people, basic middle school education is thought to be enough for their children. This is the reason why many children are encouraged to come home after they complete their middle school from lower Burma. This amount of school fees is indeed high and it will take nearly 50% of the average annual income for ordinary people who can earn not more than 300,000 kyat a year. The monastic education tradition emerged from Theravada Buddhism in Myanmar in the 11th century and has been an integral part of Myanmar culture ever since. Thanks to the monks, monasteries played such a significant role in their culture and education.14 Pa-O people are not an exception. Since nearly the whole population is Buddhist, monastic school is an essential part of their culture. Sadly enough, nearly all the Pa-O children depend heavily on these institutions. It seems to be the only option for them to get basic education. Staying in monasteries and studying there is not always a good choice for many children. Children cannot be well controlled or guided since the living conditions are very poor and monks are not well trained to take care of children. Children are taught only by a limited number of monks and volunteer teachers. Since most of the monasteries are financially poor, the daily chores such as cooking, cleaning the compound, going out for food and even hard work like carrying blocks for buildings, are usually done by young novices and children. On average, children have only about 3 or 4 study hours a day. Some children are not usually properly guided and facilitated. So, many children are just running around during their study time. It leaves them little time for study, which their parents believe is how they spend most of their days. - Monk from Metta Wadi Monastic Education Centre. In these kinds of monastic schools, parents are not allowed to phone to their children in the first three months because children will be crying to go home. Being away from home and having lack of parental control, children are greatly neglected and some are being bullied by their senior monks and laymen. As a result, the wellbeing of these children is greatly distorted. Many children are neglected and develop negative character such as stealing, lying and bullying others. In theory, monastic schools are places that helped the country produce valuable citizens because students have to learn basic ethical values and morality. Unfortunately, most of the monastic schools are not well-functioning or well-organized. They are based mostly on volunteer teachers and untrained educators. They also have very limited spaces for children. Most of the children from low and middle class people heavily depend on them; it is indeed difficult for monks to effectively and systematically run the school. The facilities are inadequate and poor hygiene and sanitation problems are so common. The classroom facilities and management are so poor that children have to sit on the floor to study with little teaching supplies such as note books, pencils etc.. Many children suffer from skin diseases and are skinny because of the poor health care and living condition. Children are sent to leave home when they are very young. They have no language and literacy skills, reside and work in isolated areas with few or no services and are largely dependent on their new adoptive parents for their safety and shelter. Consequently, children often encounter exploitative and violent environments, health risks and the denial of a wide-range of basic rights. Many people say the same thing about child workers. Employers have nothing to fear because of the loose enforcement of child labor laws by authorities. While some of the children are sent to stay in monasteries, most of the children are now sent to do all the basic work in individual families as servants or so-called “adopted children.” Staying with families is now very common and there is a high risk for children to be abused and exploited. San Yee, who had recently arrived at a nunnery in Yangon, was sent to lower Burma when she was 7. At that age, her parents were promised by the monks who brought her to Yangon that she would receive a chance to study. However, she was sent to stay in a family where she had to work as a servant doing daily chores as well as keeping the home grocery shop. Unfortunately, she was forced to quit attending school after only one year due to the financial difficulties of the family she was living with. After that, she had to serve the family doing household tasks and keeping the home grocery shop. She was forced to stay with the family for nearly 7 years but was eventually able to leave the home to become a nun. She is now staying at a nunnery and studying the Buddhist scriptures. She is unable to join state school since it is too late for her. She has very little time to go out and she is allowed to leave the nunnery only when her parents and relatives come. Khun Khin Nyunt is now staying in Taunggyi Monastery. He was sent to stay in a Chinese family when he was 5. He went to school until he completed grade 6. After that, he had to stop attending school and starting working for the family in their business until he became a teenager. He was treated like a servant and was never given any payment. He finally could not stand the treatment any longer and left the home secretly. Lost children are very common stories. Many children, especially boys, run away from homes when they are not happy and tortured by the houses. At one time, she was beaten badly and rescued by neighbors. Those neighbors took her to the Care for Mother and Child organization. She was then sent back to her nunnery. The torture and abuses she endured are shown by the scars still on her body. Ashin Su Ma Na, a novice, layman name Khun Soe Lay, was sent to stay in Ka Lay Wa monastery when he was only 6 years old. He was ordained to be a novice since there was no place to stay if he is a layman student. Ka Lay Wa monastery is said to be the monastery with the highest number of monks, novices and students in Yangon. Including monks and laymen, there are altogether 150 people staying in the same compound. Since there are many people, the monastery is disorganized and the living conditions are very poor. Children in this monastery are mentally troubled due to the strict rules and the insufficient care of the monks. One of the main problems is children receive a poor health care. There is a volunteer practitioner who comes to the monastery once a week, but it is indeed insufficient to take care of all the children. Therefore, most of the children are very thin and suffer from itchy skin diseases. These case studies are only four of thousands, many of which are far more tragic. Some of these children were fortunate enough to escape their abusive surroundings but four thousands of other children; they must remain in oppressive and abusive situations, never given a voice to express their pain. As result of the number of children sent away from their homes, there are many negative impacts on the Pa-O people and their regional development. Since children are sent away from their home at their very early age, they forget their mother tongue as well as their traditions and customs. There are very few young people who can maintain their Pa-O culture. Additionally, children cannot take care of their elderly parents as they are far from home. “I am very unhappy to see my children when they are back. I cannot communicate with them easily. They are also not happy maybe because we cannot communicate and understand each other well and they are very used to living in the city,” said a mother of two children who just came back after a long time staying away from home. Children are being mentally and physically abused and exploited at the ages of 5 and 6 when they have the best potential of learning and childhood development. The learning capacity of these children is therefore damaged or ruined. It is difficult for these children to grow up with a decent personality and sound character without proper care or attention given to them. The vulnerability of these Pa-O children is very great; the abuse they risk for the possibility of education is simply too high. Education has been and seems to continue to be a big struggle of their daily life. The difficulties faced by the Pa-O children described in this report are similar to those faced by many children in Burma who lack access to education in their hometown and must move elsewhere to receive it. It is said that Burma is a country on the path to democracy. However, it is indeed doubtful that we will have a peaceful and successful transition in the long term since there is no any sign of change in our education system and the needs of children’s education are largely ignored, especially in the rural areas. After all, Burma’s long-term prospects for a successful transition to democracy will depend more on educational change which will take a great deal of consistent effort and time. In reality, not only the Pa-O people but all the people of Burma are involved in a long and difficult struggle to create a democratic future. Burma is now evidently one of the most underdeveloped countries facing with many issues. Yet of all them, education will always be a big and vital part of our struggle. »» The Ministry of Education should work with local authorities to ensure police are aware of children’s legal right to attend school despite their financial difficulties. »» Teachers should be provided academic and material support such as training, adequate salary and housing. The number of teachers should be increased to ensure that children are not neglected. »» It is strongly recommended that the local authorities find a way to have nursery schools in these regions. »» Local authorities and community leaders should invite many NGOs which can provide education facilities. »» PNO should take more measures to ensure that children are not abused and exploited by keeping their records or registration. Programs »» The number of monks looking after the children should be increased in order to take good care. »» Monks who are in charge of sending children should be more careful and give more attention to the children. »» Parents should be aware of the risk and danger that their children are facing in a place far away from them. They should be aware that sending their children away poses many risks for their future. 1) Burma is the former name of Myanmar. 3) Buddhist scripture is the teaching of Lord Buddha which is widely studied in many monasteries in Myanmar. 4) Shan is an ethnic group which has the largest population in Shan State. 5) U BA Toht, a member of PNO. Personal interview. 10 September, 2011. 6) SPDC (State Peace and Development Council) is now a political party representing Burmese military government. 8) From a book called “Pa-O in Myanmar Union” 15 anniversary of peace in Pa-O regions. 17) PNO (Pa-O National Organization) is now an political party represents all Pa-O People. Exposing Ongoing Earth Rights Abuses in Burma (Myanmar)”, By EarthRights International, page 46 - 61. Kyauktalone is the headquarters of PNO for many decades. So what has the PNO been doing all this time? Turning blind eyes to the plight of Pa-O children and caring only for their vested interests? They call themselves representatives of Pa-O people but in actuality represent their private businesses only. Shame to PNO!